Ohhh man. I was going to title this post 'Hot in Here', but I'm not sure a Nelly song is permissible as a blog post title. My life still consists of sitting on the floor (our sofa still not shown its... fabric.. thanks Asda), hunting for jobs, eating the occasional bit of cheese and sweating profusely in our lounge that I should advertise as some kind of sauna. Although, I don't really want random naked people in here, so scrap that idea. Anyway, hence, the rather uninspiring outfit. I'm all about staying cool and comfortable at the moment. Hope you fabulous lot are surviving in this heat! I graduate tomorrow (finally!) so you can look forward to (maybe) seeing some photos of me sporting a mortar board soon. How very exciting. Ps. you can tell these shoes are bloody old (perhaps 5 years old.. eek.). Can't find this colour anywhere online! I love my converse and I have a pair the same which are about 4 odd years old too, if not more and still going strong! Ahh those shorts are cute! :) This whole outfit is cute though really! 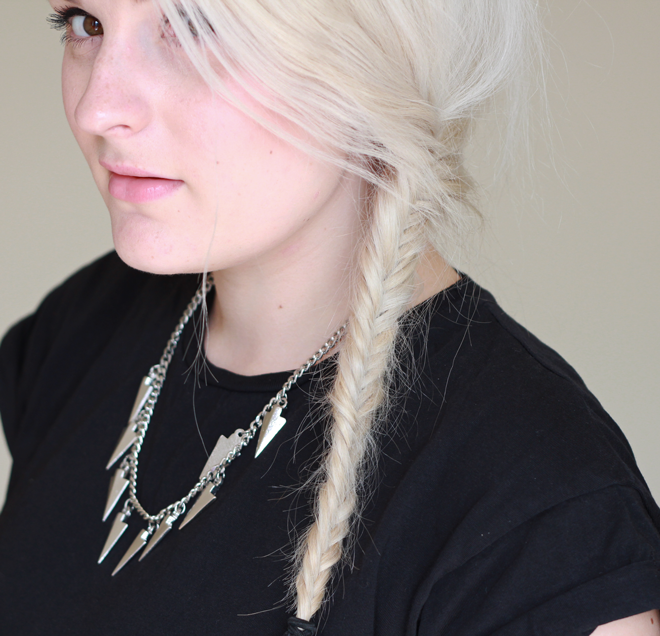 I'm seriously impressed with your plait. I wish I had the patience. Ahh love the converses! You look awesomeee! Love the feminine shorts with the more grunge shoes, such a great contrast! Those shorts are so lovely! You always do great photos! love the skorts. I can never be bothered putting a decent outfit together when it's hot like this, too much effort! Love this though, your shorts are gorge and look nice & cool!